Welcome to Sass & Grace. 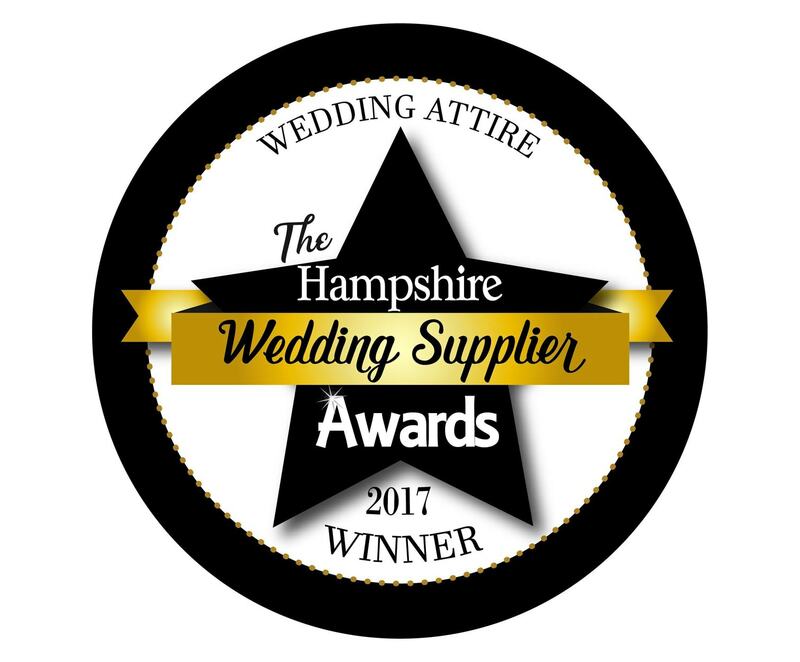 We are a Hampshire bridal boutique based near Winchester with an extensive range of bridesmaid dresses, flower girl dresses, wedding accessories and, of course, the all-important wedding dress! Whether your dream wedding is a princess style fairytale wedding, a pretty country boho wedding or a glamorous city chic wedding, we can help you develop and achieve your desired look. Choose from our extensive range of bridal couture and our broad range of wedding accessories to ensure your look is completely, exclusively and uniquely you! Our journey together doesn’t end once you’ve found your dream dress. In fact, the service you receive from us after you’ve chosen your dress is just as important. Our exclusive experienced seamstress will ensure your bridal gown fits and flatters you perfectly. We also offer this service on our bridesmaid dresses and our flower girl dresses. Each bride should sparkle with happiness on her big day. 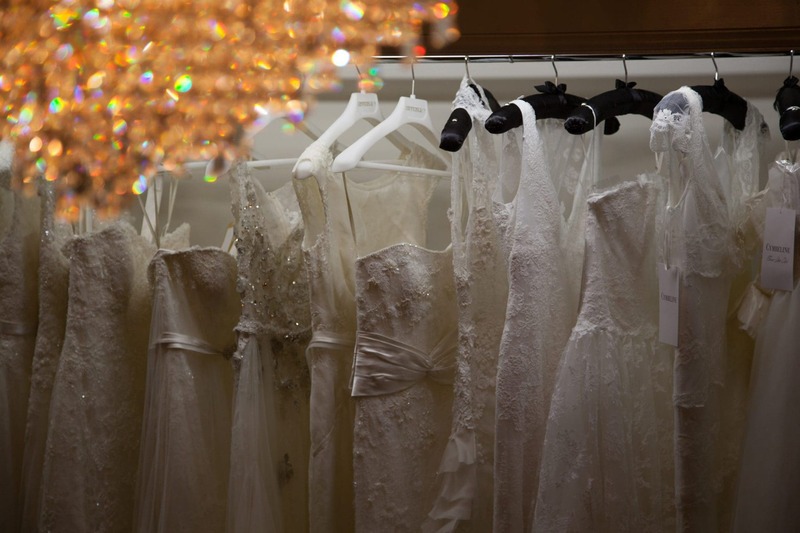 To ensure the exceptional service you deserve, we ask you to book an appointment so we can devote our bridal boutique, time and attention solely to you. You can’t help but feel the romantic excitement as you make your journey to Sass & Grace. Coming through the pretty Hampshire village of East Stratton, past the idyllic 18th century church and beautifully thatched cottages, then back out into the lush green of the rolling Hampshire countryside. Burcot Farm is situated on the outskirts of East Stratton, which is halfway between Winchester and Basingstoke. We are easily accessible from the M3 and A34. 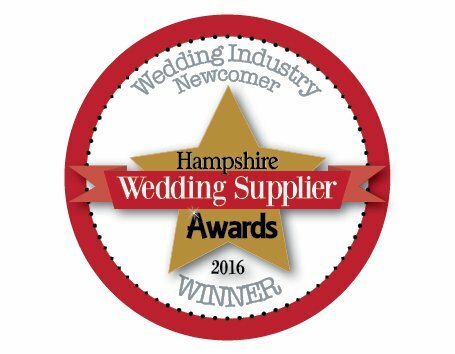 This makes us a convenient location not only for Hampshire brides but also for Surrey, Wiltshire, West Sussex, Dorset and Berkshire brides as well. Our luxurious new Hampshire bridal boutique is in a charming old dairy barn and is an oasis of serene calm and opulence. Within our relaxed and friendly atmosphere you can take your time and have fun choosing your bridal gown. to suit all shapes, sizes and budgets. I was looking for a particular dress from one of the designers, and Sam really went out of her way to get the dress. Sam was very helpful and by the end of the appointment, it felt like my family had known her for years. Definitely the best wedding dress shop I've been to! I received a fantastic service at Sass & Grace; Sam is really warm and immediately made me feel at ease. She is incredibly patient and still let me try on lots of dresses even after being convinced I'd found 'the one'. Sam chose a dress for me that was the opposite of what I thought I wanted and it ended up being the perfect dress for me. I'm so glad that she convinced me to try it because I never would have otherwise. The boutique is absolutely beautiful and really spacious. Having a one on one service is also invaluable. Only warning is that there are soo many pretty dresses it's impossible not to want to try on quite a few! I couldn't recommend Sass and Grace highly enough. Sam knows her stock really well and pulled out 'the one' which we had all over-looked but which ticked all the boxes I didn't know I had. It was by far the best wedding dress shopping experience I had out of all the boutiques we went to; she made us feel special and being the only bride there makes it feel more personal. She has since been incredibly helpful and patient in fielding all my questions and has gone out of her way to make the whole process easier. I would highly recommend Sam & her boutique Sass & Grace. I had been struggling to find a dress for a while, due to not finding anything that I felt comfortable in. The experience with Sam was thoroughly enjoyable from start to finish. Once I told her my likes & dislikes, Sam pulled out a selection of dresses for me to try & all were suitable! I couldn't believe it! She really understands what styles suit different body shapes. She is also really sensitive to people's different body hang ups. The boutique spacious & is located in gorgeous contryside. It's a perfect setting for finding your special dress. Thanks Sam! Sam was so welcoming, helpful and enthusiastic. She went above and beyond by ordering a dress which I had found in a magazine (I had contacted another stockist who was incredibly unhelpful saying they didn’t have it in stock but had lots of other lovely dresses I could try on) and, although in the end that dress was not “the one”, with Sam's help, I found another dress in her beautiful (but not overwhelming) collection. Thanks to Sam, finding my perfect dress was incredibly easy and relaxing too! I would absolutely recommend Sass & Grace! Beautiful store and a lovely location, not far form Micheldever station so made it easy for me to get my London bridesmaids down and amazingly we managed to find a dress that all 6 of the girls loved. Looking forward to going back for the fittings. I only wish I had gone here to try on wedding dresses as they had a fantastic range. From the moment you arrive at Sass & Grace you feel instantly special. The building and everything inside is so beautiful. Every little detail has been thought of. 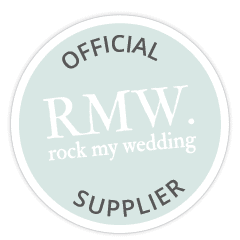 Sam made me feel so at ease and really cares about helping you find the perfect dress. Since purchasing my dress the level of care and attention has continued to be amazing. Every bride to be should pay Sam a visit, you won't be disappointed. Really lovely experience and a great range of different dresses for different budgets! Probably one of the only places I've been where there seems to be such a large choice of styles. The only downside is that it can be quite hard to find as the signal drops out - my advice would be to check the map before you go because it's worth the visit. I found my dream dress at this beautiful shop! Sam is very friendly and made me feel comfortable and relaxed. Amazing! 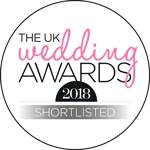 Sam was brilliant helping me choose my dress & really put me at ease as I was nervous, I can't recommend Sass & Grace highly enough, it's a beautiful place in a beautiful location making it a truly special experience. Sass and Grace is the most perfect bridal boutique! The whole experience from start to finish was wonderful. Sam is so lovely and totally put me at ease which was great. I tried on some absolutely gorgeous dresses and it turned out to be my first and last dress appointment as I found THE dress. I'm so delighted with my choice and I can't wait to wear it! Thank you Sam! 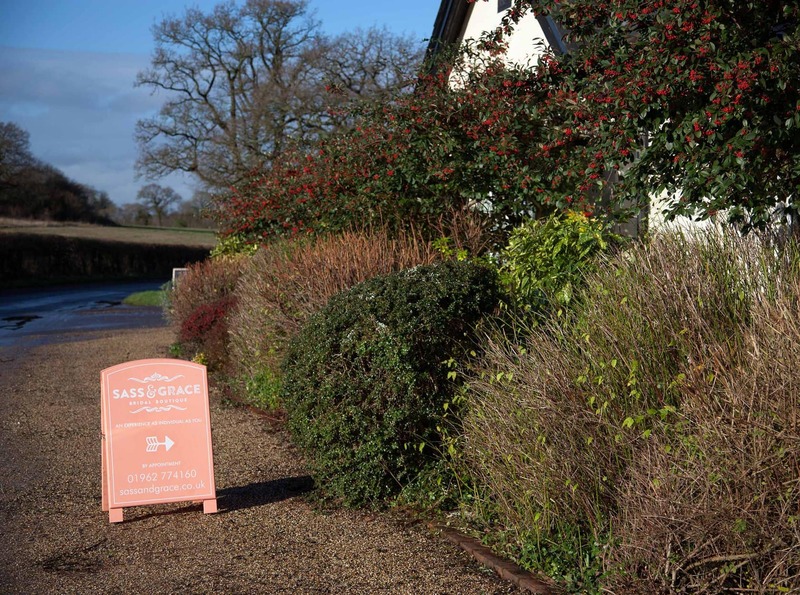 Jessica, Winchester - Sass and Grace is the most perfect bridal boutique! The whole experience from start to finish was wonderful. Sam is so lovely and totally put me at ease which was great. I tried on some absolutely gorgeous dresses and it turned out to be my first and last dress appointment as I found THE dress. I'm so delighted with my choice and I can't wait to wear it! Thank you Sam! Claire, Basingstoke - A really lovely place for dress shopping. We were looking for bridesmaids dresses with not much time before the wedding and Sam was absolutely wonderful at fitting us in quickly. There was a great choice for teen bridesmaids and Sam was really nice, helpful and made the experience really good fun. Thank you! Harriet, Newbury - From the moment I walked in to Sass & Grace I knew this was where I was going to buy my wedding dress. The atmosphere of the beautiful barn itself and being in the middle of the countryside made it so relaxing. Sam was so helpful and the dresses on offer were just what I was looking for. I will definitely be recommending this boutique! My experience at Sass and Grace was everything I could have hoped for - the dresses and accessories were beautiful, Sam was so friendly and helpful, and very patient. We were all made to feel very welcome, and I'm already looking forward to going back for fittings! I got my Wedding Dress from Sass & Grace and the whole experience was fantastic! They have gorgeous dresses and the service from Sam was wonderful! Jen, Southampton - Sam, was amazing after a quick phone call we were all booked in to come and have a little look around. I think i can honestly say I was scared to touch any of the beautiful dresses, but with Sam's very gentle encouragement I tried a few on, with a bit of expert help Sam helped me to choose a beautiful dress I now just cant wait for it to arrive so I can try it on and get it fitted. Even better I cant wait to wear it on my big day. Thank you for such a lovely experience! Catherine, London - Thank you to Sam at Sass and Grace for helping me find my beautiful wedding dress. The shop is beautiful and the help I received was incredible. The shop had an amazing selection of dresses to choose from and Sam was so kind and helpful when I was making a decision. She made the whole process of finding a dress very easy and I would without a doubt recommend this shop to all brides! Catherine, Guildford - Thank you Sam for helping me find my perfect dress! The whole experience was wonderfully relaxed and personal. I can thoroughly recommend Sass & Grace! Lovely location, lovely boutique setting and Sam was fantastic! I would definitely recommend Sass and Grace to any bride to be! What a delight! Absolutely the perfect bridal shop. Hard to believe, but my last 3 months of wedding dress search in every possible store in New York City didn't deliver the YES THE DRESS moment. But I knew I had come to the right place with the most relaxing atmosphere and great selection & service in Sass & Grace. “We know that finding your Wedding dress can be a little scary. Most of us have never before considered spending so much on one dress and choosing “the one” for such a big day can feel like a big responsibility … but you’ve already found the one to marry! Finding the dress can be great fun in the right environment and with the right people. We have had brides who really didn’t want to wear a wedding dress and would rather get married in a onesey. 2 hours later they have completely relaxed, had fun and are looking radiant with a glass of Prosecco in hand and wearing a dress meant for them. Some things are meant to be … we have the dress meant for you! Being prepared will help you to enjoy the experience so we’ve put together some advice that we hope you find useful. If we’ve missed anything please do ask! What should I bring when I have an appointment? There are no hard and fast rules but if you have a Pinterest board or some clippings and ideas of what you want for your wedding day, these can be very useful in understanding what you really like. Similarly, if you have any photos of you that you feel really shows you and your personality at its best, do bring them along. The only other thing to bring is some idea of your budget and an open mind! Sometimes trying something that you’re really not sure about will help focus you on what you really do like …… other times it can be a really really pleasant surprise! It is best to wear some good underwear in white or flesh tones, and if you have some idea of the heel height that you want, bring some shoes of that height. If not, we do have some sample shoes that you can use. Who should I bring to an appointment? We would recommend bringing one or two close friends or family members whose company you enjoy and whose opinions you trust. Although you may be tempted, or feel pressured to bring more, having lots of different opinions can become quite confusing and spoil your enjoyment. If you really want to bring more, that is not a problem, however, to get the best of both worlds, many of our brides have a first appointment with a select few, and then have a 2nd appointment with some different friends or family to share their choice. What dress sizes are available? Our sample dresses range from UK 10 to UK 18, however, we have many tips and tricks which will help to fit the dress to your figure so you can see the look you would get. 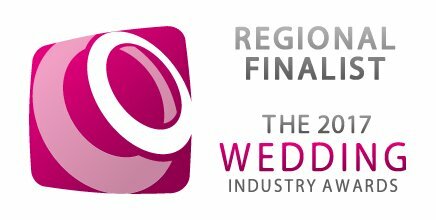 When it comes to ordering your dress, our designers provide for UK sizes 2 – 34 which is then altered to fit you perfectly. The cost of alterations is separate to the cost of the dress and will vary depending on the complexity of the alterations needed. Once you have chosen your dress, we can advise on what alterations might be necessary and the most cost effective way of getting a perfect fit. Some of our designers customise various aspects, such as length, and this will, of course, reduce any alterations needed. You can also work with some of our designers to customise their dresses, though this would carry an additional charge. To ensure complete privacy for our brides to be, we do work on an appointment only basis. No other bride or bridesmaid will be choosing a dress while you are with us. We allow at least one and a quarter hours for a first Bridal appointment and that usually flies by!! How many dresses can I try? There is no limit. You can try as many as you like in the time we have. We have a huge selection of dresses in different styles, different materials and from different designers but our brides usually find their dress after trying on between 6 and 12 wedding dresses. Whilst you are selecting your dress, we prefer that no photos are taken. When you choose your wedding dress it is such a special time, and the feeling you have cannot be captured on a phone. What you will see when you analyse pictures after your appointment, is all the imperfections – a dress that doesn’t fit you correctly (yet), no hair or makeup done and imperfect lighting to name a few. Unless you are a professional photographer, you will have a completely different picture to the one you saw and felt when you looked in the mirror. We will happily send you some professionally taken pictures of your dress that shows it in the best light and save the pictures of you for when you have had the dress fitted to you and taken by your own photographer. 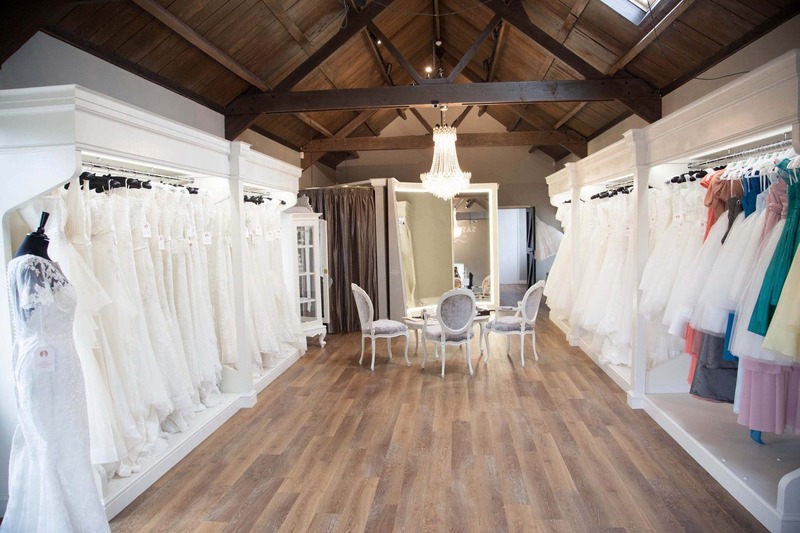 To ensure the exceptional service you deserve we ask you to book an appointment so we can devote our bridal boutique, time and attention solely to you. We always reply within 48 hours so please check your “Junk” mail folder. We offer an Experience as Individual as you! An unhurried, private appointment exclusively for you.